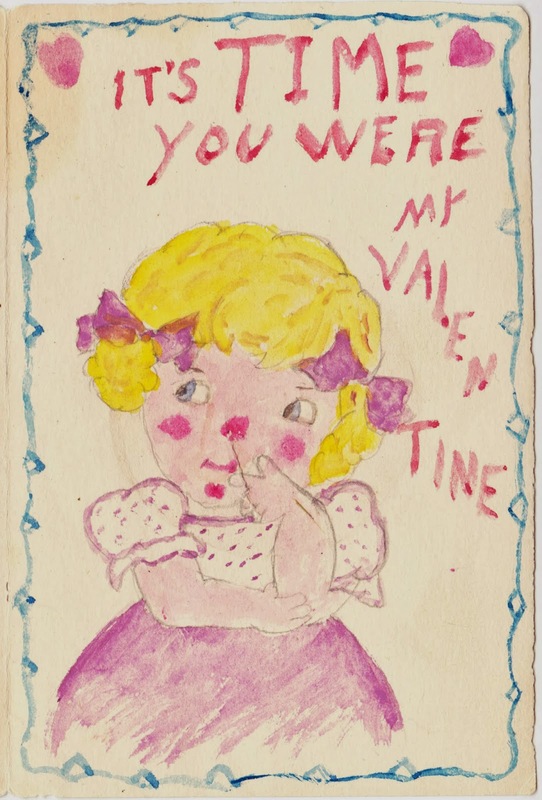 I picked up these old handmade valentines, along with a bunch of others, last year at an antiques store in northcentral Pennsylvania. There's no date, so I would just guess 1930s or 1940s. The card was made for Mrs. Geiger, from Mary and Florence. Do you think the sketch of the little girl with bows in her hair is traced? It looks to me like it might be. When I hold the card up to the light, I can see a watermark that reads "MODERN FORM" in bubble letters. The paper isn't transparent enough, though, for normal tracing. The student would have needed a light source underneath. If it wasn't traced, that's certainly a very good piece of artwork. Here's the second of the two cards. The front has a circle cut out of the middle of the clock. And here's the inside of the card. 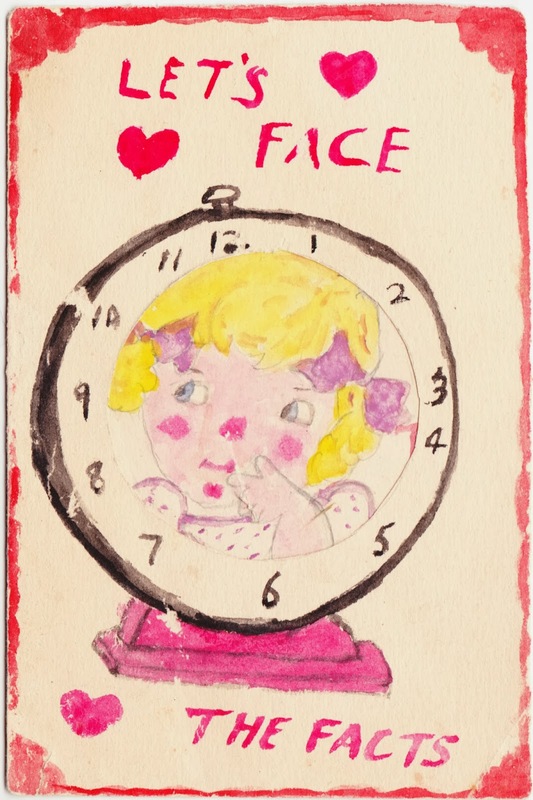 The illustration of the little girl is quite similar to the one on the first card. 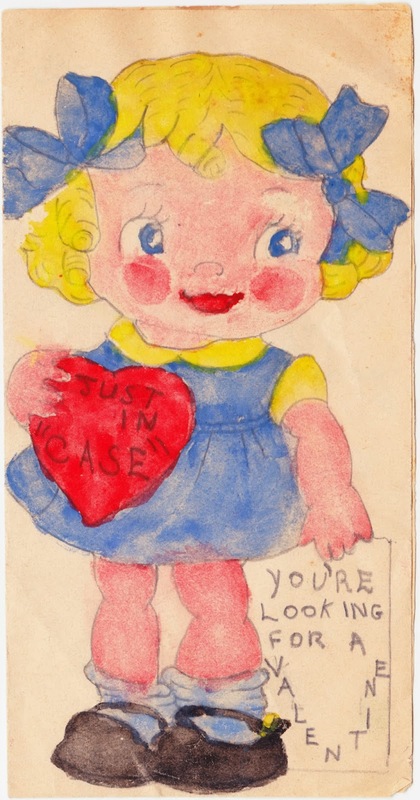 And, in fact, this one is from Florence to Mrs. Geiger. Handmade valentines took a lot more time and skill than just buying one of those jumbo packs of small, pre-printed valentines with a Care Bears or Batman theme.